If you have inherited a house, or became an executor/executrix of a will, you need to know what probate on a house is? This is a legal process. Probate on a house is intended to prove that the will outlines the last wishes of the deceased. If claims against the will arise they will be dealt with through the probate process. Probate on a house is carried out through a probate court. This court determines if the will is valid. It also verifies the executor has the authority to carry out the wishes of the will. It also gives authority to the executor or inheritor to conduct the probate house sale process if desired. Probate laws can vary amongst the different states, but usually have much in common. There also can be some differences. It is important that real estate agents in MN, or any other state, involved in this type of sale understand these laws. Often the individual who has inherited the house has some mixed emotions when it comes to selling the home. It could be that it is the home that they grew up in. Now that the parents have passed there is no need for the individual who inherited it to keep a second home. Still, having to sell the house can be difficult because of the emotional attachment. Then having to go through a probate case, which is a legal undertaking, adds to the stress. During this time, it is important to be able to rely on the right professionals. They can walk you through the entire process with as little stress as possible. You will need a probate lawyer to handle the probate legalities. Then you should also rely on a Realtor that has experience with probate house sales. If you prefer to sell the house quickly, you should get an offer from a local house buying company. The process of probate on a house determines the authority to handle the probate house sale process. If there is a will then the probate courts determine the authority according to the will. Without a will then it will be the person filing for probate, or an Administrator volunteer. During this process, those involved must deal with the person who has authority to sell. First, the probate on a house legalities are attended to. 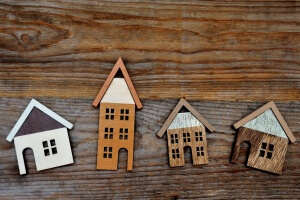 Then the selling a house in probate format is basically the same as any house sale. The main focus has been on the title issues because of the owner’s death. Now standard sales issues have to be addressed if there are any. These include issues with easements and encroachments. Or, there could be problems with encumbrances and mortgages that need to be dealt with. Just like with any standard home sale any repairs that are needed should be attended to. If this is not possible, then when determining the sale price this should be taken into consideration. The need for repairs could become a concern during the home inspection. There is a lot to be considered with the probate on a house process and its sale. As with all laws, there are acts that dictate how they must be applied. It is the executor who sets the asking price for the house. This is in accordance with the Administration of Estates Act. This individual will have the experience of knowing what the house is worth. His opinion will be based on the current market value for the home. This will be according to comparable value to other homes in the area and its current condition. Once the price has been agreed upon, it is then listed with a Realtor, or sold to a cash home buyer. This is all just part of the probate house sale process. A Realtor that is experienced with probate on a house legalities will see that everything is in order. This is done before marketing the property. 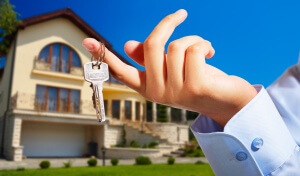 The marketing process for selling a home in probate is done the same way as any home sale. Advertising, signage, and multiple listing opportunities will be taken advantage of. The agent will also schedule and attend to the home showing appointments. If you’d rather avoid going through all of this, you can skip it by calling us to get a no-obligation cash offer to buy the house as-is. Call us at (651) 323-5051 today and we can get you an offer within 24 hours. Any offer that is being considered must be at least 90% of what the Probate referee has appraised it at. If this is the case, then negotiations can continue. A Notice of Proposed Action has to be mailed to the heirs. This is if the offer has been accepted. This is in compliance with the probate selling laws. Objections must be filed within fifteen days. If they are not, then no court hearing will be held. Notice of the sale may have to be published in a local newspaper. This is if the executor or Administrator does not have full authority under the IAEA. The same applies if there has been an objection by one of the heirs. The estate lawyer will apply for a court date for the sale execution. 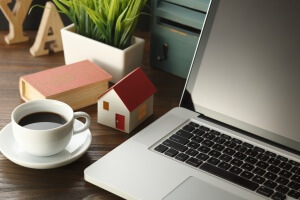 Probate on a house has a lot of rules that must be followed and the process can be time-consuming, but if it is handled by the right professionals, then in most cases it goes smoothly. If you end up with a house inheritance and have to deal with a probate house sale process, it may get you thinking. You may be worried about your personal situation. You don’t want to put your loved one through the same stress of selling a house in probate. Avoiding probate on a house in MN can be accomplished with some preventative measures. Instead of looking at leaving the standard type will take a look at writing a Living Trust. Your house and other assets are left to a trust. This puts a trustee in authority over them, on behalf of the beneficiaries. This way the house will not have to be probated because it has already come under the authority of the trust. Another advantage of using the trust is that it eliminates the cost of having to go through a probate. This is a big advantage. Often the fees associated with the probating of a will are based on a percentage of the entire estate. These are all important factors that you will want to consider when you are seeking out the answers to the what probate on a house is in MN question. When you are involved in a probate on a house you should first begin to fully understand what it entails. Then know which professionals are going to help you the most. Choose experienced experts that can help you through the entire selling a house in probate process. If you have probate on a house that the estate is considering selling, why not get a cash offer from Sycamore Property Solutions in Saint Paul? Sycamore Property Solutions is in the Saint Paul area so he can make you a cash offer within 24 hours. In just a few days, you’ll be free of your house and able to move on with your life. You’ll have quick cash and can immediately begin prioritizing your financial goals. This is how to sell a house fast in Saint Paul.